Fitbit smartwatches just got a little smarter, with support for a British Airways app and Starbucks cards added to the Ionic and Versa. The British Airways app will land on the wearables in May, with BA customers able to access flight information, status and a boarding pass straight to the wrist. That's not all, with Starbucks users now able to pay for their morning coffee using their smartwatch. All they need to do is add the 16-digit Starbucks Card number into the watch's app in order to redeem the coffee house's goodies. Interestingly, for users in the UK, Fitbit also announced that another bank is also being added to Fitbit Pay. A partnership with Santander opens up the option for contactless payment from the wrist, meaning any customers with a personal or business debit or credit card account will be able to tap into the wrist payments. Santander becomes the first major UK bank to make it to the Ionic and Versa, with challenger bank Starling joined only by Danske and Wirecard's Boon platform. Given that the Fitbit smartwatch line entered the scene six months ago, it's a little perplexing that more UK banks aren't yet on board. Where is Lloyds Bank, NatWest and Barclays? In comparison, Apple Pay has 19 UK banks signed up, including the big names, though hopefully the move to bring Santander on board is the first of many we'll see over the course of 2018. 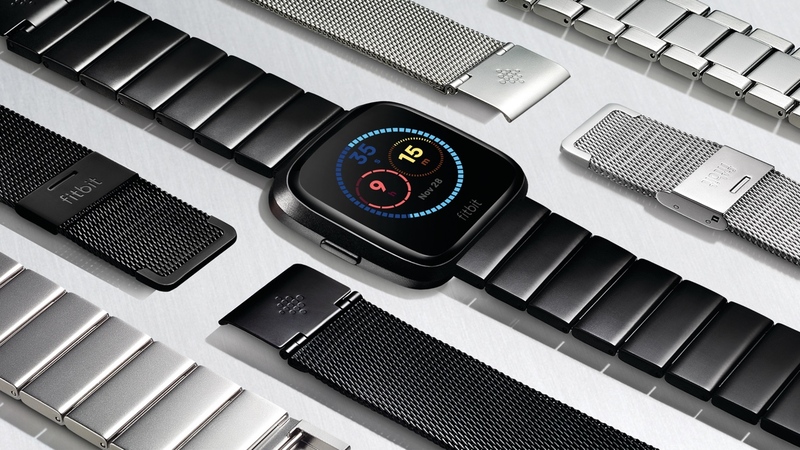 Fitbit says its App Gallery has more than 700 apps now but this includes watch faces and the selection is still missing popular apps like Uber. So this is the kind of small but worthwhile boost we've been wanting more of from Fitbit when it comes to smartwatch apps. It's perhaps not going to change how you interact with the device on a day-to-day basis, but being given the option to have boarding pass ready on your watch is the kind of simple functionality that can cement a place on your wrist.